How will cannabis legalization affect fresh water systems? The world’s freshwater laboratory is a very busy field station these days—with ongoing studies examining algal blooms, climate change, selenium toxicity, environmental DNA, non-lethal ways to research fish, what happens to fresh water when oil spills occur and how best to clean them up. With all that activity, why would IISD Experimental Lakes Area also be considering research on the potential impacts of Canada’s recent cannabis legalization on its freshwater resources? Quite simply, it is because we have reason to be concerned. To understand how a human consumption issue can affect fresh water, we need to consider the connectivity of our planet’s water. Water is a finite resource, and when we use it for one purpose it can be altered, affecting how that water can be used afterward. IISD-ELA scientists have been studying this phenomenon for more than 50 years. Now that cannabis legalization is sweeping North America, we need to better understand its impact on freshwater systems. 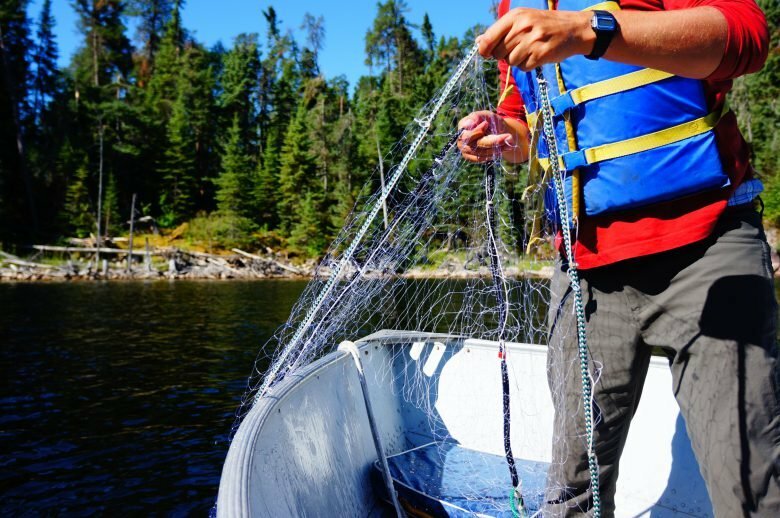 For example, in the late 1990s and early 2000s, Dr. Karen Kidd, now a professor at McMaster University, led a team of scientists at IISD-ELA to examine the impacts of the female reproductive hormone, estrogen, on freshwater lakes. The work was based on the understanding that estrogen, either naturally produced by humans or synthetically prescribed in birth control pills, is excreted in urine but is not completely removed by sewage treatment plants. Therefore, measurable concentrations of estrogen are discharged from sewage treatment plants and can be found in rivers downstream from these facilities. Dr. Kidd and her team showed that, even at the minute concentrations released, fish populations could be dramatically and negatively affected. There are similar examples related to other chemicals routinely found in our fresh water, including other pharmaceuticals such as lipid-lowering drugs, antidepressants, pain medication—even caffeine! Dr. Kidd’s estrogen study is important, because prescriptions for ethynlestradiol, the synthetic form of estrogen found in birth control pills, can be linked to increased concentrations of total estrogen measured in rivers downstream from major Canadian cities. Similarly, when a new prescription drug appears on the market, there is the potential for increased usage, excretion of the original chemical or active metabolites, and impacts to receiving waters. Why would IISD-ELA be considering research on the potential impacts of Canada’s recent cannabis legalization on its freshwater resources? People consuming cannabis metabolize tetrahydrocannabinol, or THC as you may know it, primarily to a metabolite known as THC carboxylic acid (THC-COOH). This non-psychoactive metabolite is eliminated in urine and feces, is directed to our wastewater treatment facilities and could ultimately appear in bodies of fresh water. But does this necessarily suggest cause for concern following the legalization of cannabis? Will more Canadians be using marijuana now that it is legal? First, there is conflicting evidence whether decriminalization will result in increased usage arising from increased availability, greater social acceptance and potentially lower prices. 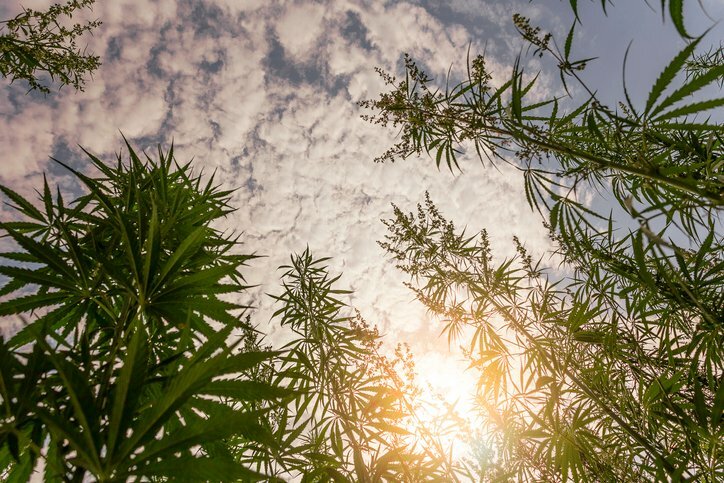 A recent study in the United States found that, in Washington State, perceived harmfulness declined and usage increased among adolescents after legalization, while this association was less clear in Colorado. Another recent study from Oregon found that cannabis use by adolescents increased after legalization occurred, but only among active users and not among those who didn’t use cannabis before it was legalized. In the Netherlands, some association of increased use after adopting a policy of “non-penalization” may have been tempered by the fact that prices remain higher than in other jurisdictions. Health Canada commissioned a study by the Denver-based Marijuana Policy Group, which predicted increased cannabis usage after legalization but with a significant degree of uncertainty included. IISD Experimental Lakes Area has been researching on whole lakes for over 50 years—a type of research that produces different results from research performed solely in a laboratory. All of these findings should be taken with a pinch of salt, given that the researchers themselves acknowledge that usage patterns are difficult to nail down, because they are based on self-reporting surveys and there is a tendency for people to either underestimate their usage or simply deny that they use cannabis at all. Are cannabis metabolites already reaching Canadian waters? In 2018, Statistics Canada conducted a pilot research program to estimate cannabis usage patterns by analyzing concentrations of THC metabolites in waste water from major Canadian cities. Just the fact that such a study could be initiated emphasizes that cannabis metabolites are present in appreciable concentrations in wastewater and that these compounds could be reaching our freshwater. And we know that cannabis metabolites have also been found in other studies around the world. For the five Canadians cities studied by Statistics Canada, an average load for all sites combined was estimated at 540 micrograms/person/week. Even though that’s a pretty abstract number, it allows us to make some basic calculations to estimate potential concentrations reaching downstream surface waters. For example, if we apply that loading rate to Winnipeg’s South End treatment plant, which serves 176,000 people, and combine it with the highly variable flow of the Red River, concentrations of THC-COOH could vary between 0.13 and 3.1 nanograms/litre (ng/L), depending largely on the season. That estimate is based on the incoming load to wastewater treatment facilities and does not necessarily account for the removal of THC-COOH by the treatment process. Each of the existing studies has used short exposure durations, unrealistic concentrations or has been conducted using one species in the laboratory. IISD-ELA knows that results in realistic field settings can be quite different from those obtained in the lab. Even so, there are currently no specific regulations regarding TCH-COOH discharges from wastewater releases, and the few studies that have examined removal rates indicate that as little as 20 per cent of the THC-COOH may be removed. In some cases, concentrations may actually be higher in the water discharged than in the original waste stream because the treatment processes itself can convert metabolites of THC-COOH back into the original compound. We do know that estimates of 0.1 to 3 ng/L would be in the lower ranges of what has been reported to date for receiving waters. For example, two studies conducted in Spain determined THC-COOH concentrations to range between 24 and 80 ng/L. Similar concentrations (42–105 ng/L) were reported in treated waste water in Slovakia, but the authors of this study noted that the THC-COOH loading rates they reported were relatively low compared with other European cities such as Paris and Amsterdam. What happens when those cannabis metabolites hit our fresh water? It is important to remember that there is a great distinction between how much of a chemical is in the environment versus the detrimental effects that it may have on aquatic ecosystems and resident wildlife. 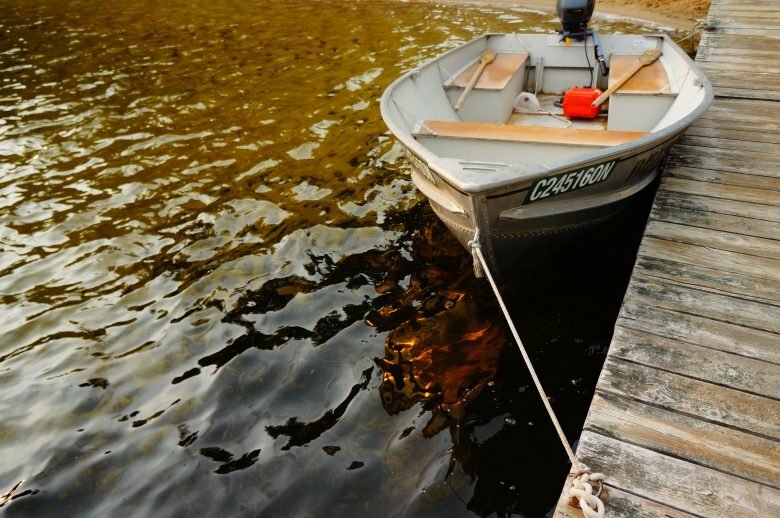 Researchers at IISD-ELA are planning to research how long THC-COOH can be present once it is discharged to fresh water; the effects on aquatic life at realistic concentrations; and how much of the metabolite is removed by current wastewater treatment processes. There have been relatively few scientific studies that have examined potential effects of environmentally relevant concentrations of THC-COOH on aquatic organisms. Increasing oxidative stress and damage to DNA were detected when zebra mussels were exposed to THC-COOH. While the exposure concentrations were high in this study (70–700 ng/L), the amount of time they were exposed to the THC-COOH was short (only 14 days) leaving open the possibility that more chronic exposures could also have effects. It is important to recognize that THC-COOH is relatively stable (days to months) in water, so longer-term exposures are possible in continuously impacted environments. Zebrafish treated with short durations of exposure to THC during early embryonic development had reduced heart rates, increased rates of deformities, reduced swimming performance and higher mortality, but the exposure concentrations used for these studies were two orders of magnitude higher than what might be observed in the environment. In an even more unrealistic scenario, an earlier study treated juvenile common carp with varying concentrations (2–30 mg/L) of crude leaf extracts of cannabis for 56 days and reported biochemical indicators of stress. Where is IISD Experimental Lakes Area planning to take the research next? And that’s why IISD-ELA is continuing to consider further investigations into the potential effects of cannabis on our fresh water. Specifically, we are embarking on research using enclosures to examine the how long THC-COOH can be present once it is discharged to fresh water. We are also studying the effects on aquatic life at realistic concentrations and processes that determine how much of the metabolite is removed by current wastewater treatment processes.